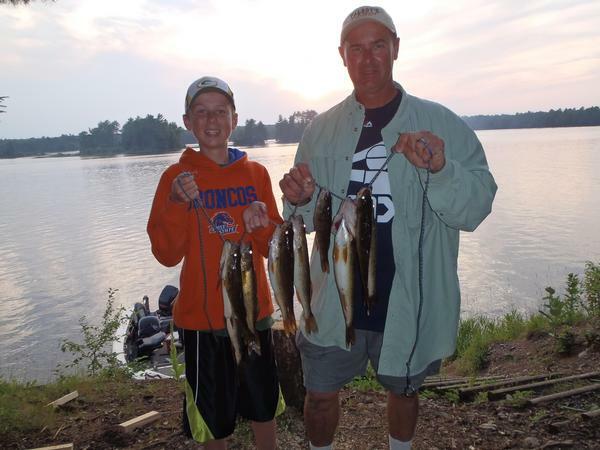 The walleye fishing since last report has been very good. 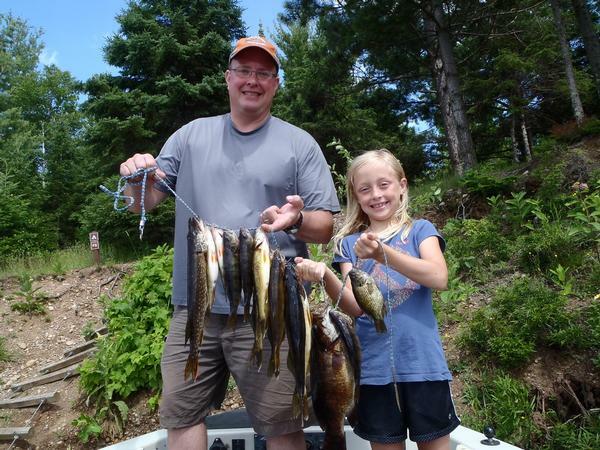 Yesterday the fish bit all day, in the morning I fished with father, Jeff and 7 year old Megan and in the afternoon/evening with father, Daryl and son 13 year old Brent. Both kids did an impressive job catching fish. The structure to fish on the TFF is as diverse as the fishery. In the morning with a young fisherwoman we slip bobbed, 7' flat with wood, 10-12' submerged bog, and submerged down trees. In the afternoon 13-15' deep wood near river channels. We mainly cast 1/8 oz. slow fall jigs with 1/2 crawler. Fun to watch young Brent learn to feel the bite with a light jig and deeper water, I believe he caught as many walleyes as his dad and I. Don't normally have time to do a shore lunch on 1/2 days but today we did a shore lunch and a shore dinner. 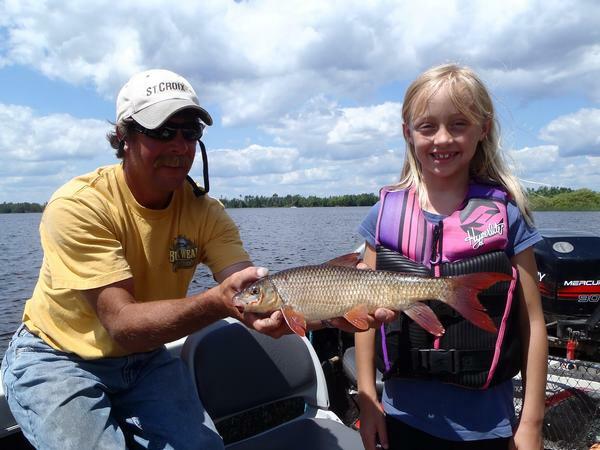 We picked up Jeff's wife Chris to see the flowage and join us for lunch. Daryl, Brent and I had dinner and watched the sun set from the elevated view on F-9. It was a great day, nice to feel a little summer sun and wind. Megan, had to post a picture of that ugly fish.